NikeCaseStudy — Uptown Treehouse, Inc.
We created FOMO across 40 million marathon lovers around the U.S.
We helped Nike inspire and activate a community of athletes. On a mission to bring inspiration to every athlete in the world, we partnered with Nike to drive digital participation during the Nike Women’s Marathon. 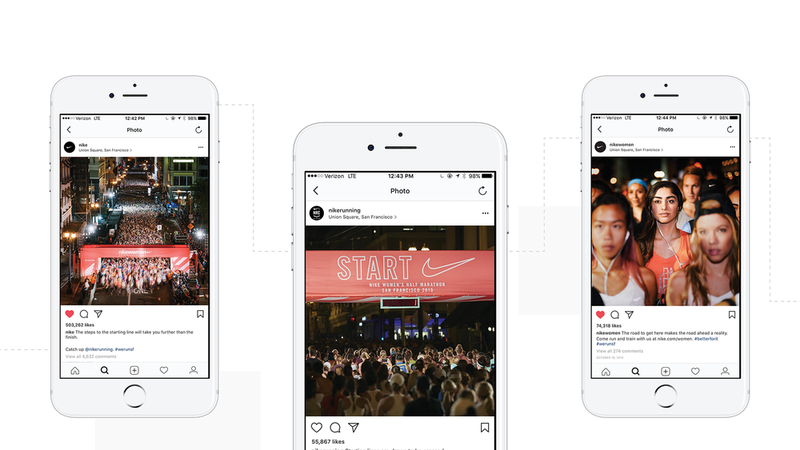 To support one cohesive brand message, we planned and produced a cross channel storyline that was told from three separate perspectives: @nike, @nikewomen, @nikerunning. This approach led to the cross pollination of followers from the three accounts and drove awareness of new Nike services.